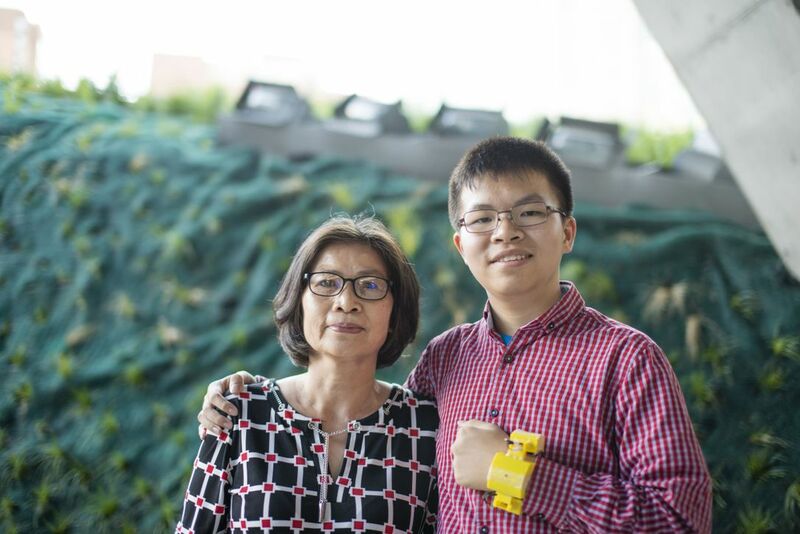 HelpWear's story begins with Frank's concern for his mother, Lan Nguyen. She is partially blind, has trouble hearing, is prone to dizzying spells and most concerning – she has life-threatening heart problems. Also as a refugee to Canada from the Vietnam War, her English is poor, making it difficult for her to get the help that she needs in an emergency. This left Frank concerned that if an emergency happened while he was away from home, his mother would be unable to get help. Frank, called his high-school friend Andre, and set off to build a device that would notify himself and EMS is any medical emergency occurred while he was away. HelpWear was born. Frank, along with his friend Andre Bertram, are accepted into Ryerson’s Basecamp program, run by the Brookfield Institute for Innovation and Entrepreneurship. The Basecamp program helps aspiring electrical engineers and tech whizzes refine and design gadgets that eventually become thriving tech startups. At the Basecamp program, HelpWear received their very first seed funding - $1000 grant– to develop a prototype of the HeartWatch. Frank and André were still full time high-school students at the time, at Danforth Collegiate and Technical Institute. After the Basecamp program was complete, the HelpWear duo decided to incubate their burgeoning startup at the Biomedical Zone, a hospital-based health technology incubator that developed out of a partnership between Ryerson and St. Michael’s Hospital. The hospital setting was integral to developing the HeartWatch alongside patients and clinicians. HelpWear's founders, Frank and André head off to the University of Waterloo as a part of the 2021 graduating class of Electrical and Computer Engineering, and Systems Design Engineering respectively. With the support of Dr. Wayne Chang from the Conrad School of Entrepreneurship and Business, and the university as a whole, Frank and André become the first freshman students to take and E-Coop (Entrepreneurship Coop) to focus on building HelpWear instead of working for a large corporation. In Frank and Andre's time at Waterloo, HelpWear was honored to join Velocity Science at the University of Waterloo. HelpWear was provided with a free workspace access to internationally renowned business advisors, state-of-the-art equipment and unparalleled peer support from the 80+ software, hardware, science and social impact startups. To kick off their winter coop term, the HelpWear founders join the inagural cohourt of the Creative Destuctive Labs West at the University of British Columbia. The CDL is Canada's largest accelerator that brings together early stage science and technology innovators with top entrepreneurs from arround the world for mentorship and investment to comercialize their technology. Here HelpWear learns from two renowned Canadian entrepreneurs, Paul Geyer and Dr. T. Chen Fong. Paul is a successful medtech entrepreneur, angel investor, and experienced board member. In 1991, he founded Mitroflow International Inc., a tissue heart valve company. Paul grew the company from nine employees to more than 125, selling it to Sulzer Medica in 1999 for more than $50M. Dr. Fong is a Professor Emeritus at the Faculty of Medicine, University of Calgary. He was formerly the Head of Radiology at the University of Calgary and the Calgary Health Region. Dr. Fong is active in funding and nurturing startup companies. Over the past two decades, he funded over 50 companies in diverse technology sectors, with an emphasis in medical devices. Chen is also a member of the Order of Canada. Learning the ins and outs of scaling a medical device company in Canada from these two entrepreneurs enabled HelpWear to set ambitious objectives, with the experts behind us to meet them. 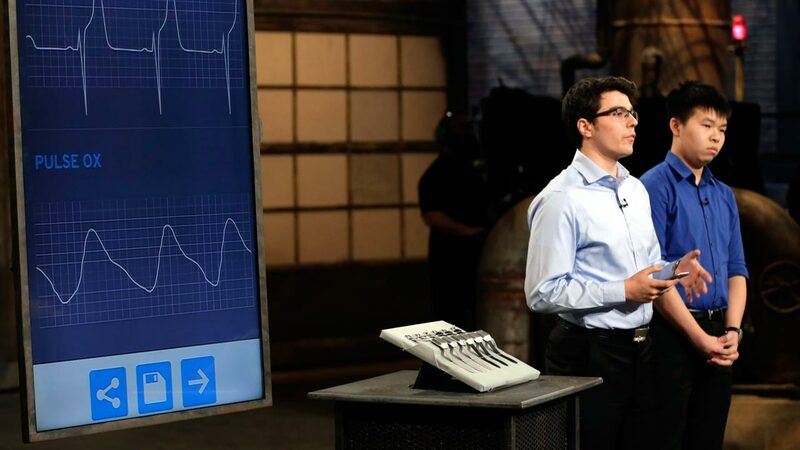 With a functional prototype in hand, HelpWear had a chance to pitch their business on CBC's Dragon’s Den, to the Dragons, some of Canada's most prolific business tycoons. By the end of their pitch, all six investors decided to invest in the HeartWatch, and the response from their national audience was overwhelmingly positive, further reinforcing the need for this device. In the Summer of 2017, HelpWear joined Y combinator, the worlds top accelerator for early stage companies, in the heart of Silicon Valley. The support of the Y Combinator partners allowed HelpWear to develop faster, allowing us to raise our first round of external funding (with support from CDL) on Y Combinator's invite only Demo Day. After raising the external capital needed to take HelpWear to the next stage, whilst knowing that our investors and patients needed our technology as quickly as possible, HelpWears cofounders took a leave of absence from the University of Waterloo to focus on HelpWear full time. As HelpWear progressed, people started to take notice. André Bertram, HelpWear's co-founder and CEO, was awarded the Thiel Fellowship in 2018. Founded by technology entrepreneur and investor Peter Thiel in 2011, the Thiel Fellowship is a two-year program for young people who want to build new things. Thiel Fellows skip or stop out of college to receive a $100,000 grant and support from the Thiel Foundation’s network of founders, investors, and scientists. André was selected from thousands of applicants as one of 20 fellows in his batch, one of only 3 Canadians. HelpWear has just wrapped up a round of pre-launch feedback sessions and is currently running clinical trials. HelpWear is also in process of gaining regulatory approval in the U.S. in Q4 2019 and Health Canada soon afterwards. Once on the market in North America, we will work to expand internationally (including Asia with the help of Saltagen Ventures). Our goal is to ensure the HeartWatch is available across the globe by Q4 of 2020.